Contrary to the message in “The DaVinci Code” that symbols have a pagan origin, Bible Scholar Helena Lehman shows evidence linking an allegorical language centered around symbols to the Sethites, who were the righteous antediluvian ancestors of Noah, Abraham, Moses, and Jesus. In the popular book and movie “The DaVinci Code,” people are introduced to a mysterious world where symbols have many hidden and profound meanings that stretch into the far reaches of the past. They are also shown that this symbolic language was used by Leonardo DaVinci in his painting of the Last Supper to hint that Jesus may have been married to His disciple Mary Magdalene. In the process, it is suggested that these symbols have esoteric, or even paganistic roots. However, in the book “The Language of God in Prophecy,” Author Helena Lehman proves that Mary Magdalene was not Jesus’ wife, but His devoted friend and disciple. In her Language of God Book Series, Ms. Lehman shows that biblical symbols, ancient architecture, and medieval heraldic symbols utilize the Language of God, a hidden language of symbols that is associated with the forty-eight Zodiacal constellations that were recognized in antiquity. She also shows that the Zodiac isn’t just a fanciful creation that people wove their religious myths around, or a method for foretelling the future. On the contrary, the symbols used in the Zodiac appear to have been shown to the Sethites by divine revelation, and may have served as a Gospel in the Stars that foretold Jesus Christ’s coming long before mankind fell into sin. The symbolic Language of God therefore has a Judeo-Christian origin that can be traced from Adam’s son Seth down through the ages. In partial support of her theories, Ms. Lehman quotes from the first century Jewish historian Josephus, who suggests that the righteous patriarch Seth’s descendents invented Astronomy, and calendars based on celestial observations. According to Josephus, the Sethites also built two monuments in Egypt to preserve their wisdom through the Great Flood, which the Book of Enoch warned them was coming. Ms. Lehman believes that these two monuments are the Great Pyramid, and Great Sphinx at Giza. Therefore, as a legacy left by the Sethites, all Zodiacal symbols have a story to tell Judeo-Christians that goes far beyond the mythological attributes given to the 48 ancient constellations in Classical times. In fact, Ms. Lehman shows that the Sethites may have believed that the preincarnate Jesus invented this Zodiac story as a Gospel when He created the Universe for His Father. Helena calls the symbols surrounding this Star Gospel “the Language of God,” and she has written a four-book series detailing the many ways this divine language of symbols was used in the Bible, but was also perverted by pagans until the truth it conveyed was nearly destroyed. 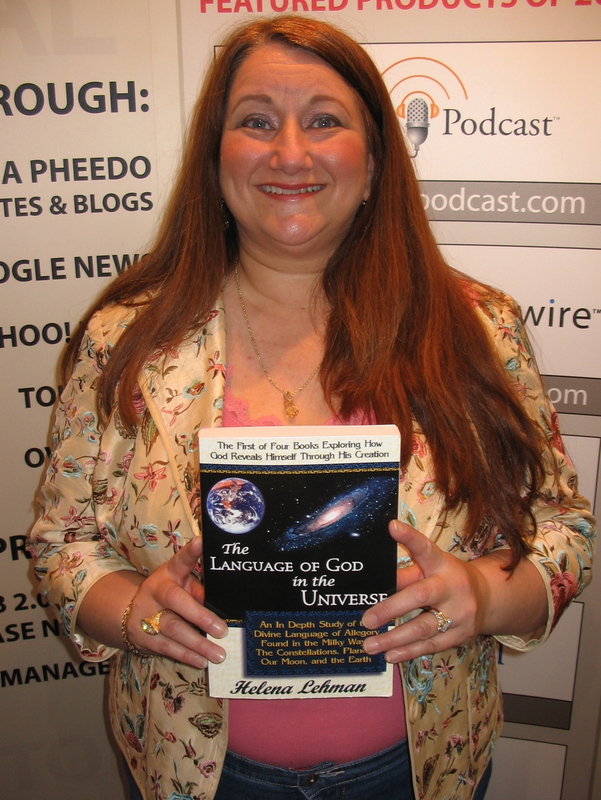 To help people understand her findings about the Language of God better, Ms. Lehman is offering a free mini seminar in conjunction with her participation in the International Christian Book Fair at the Kennedy Mall in Dubuque, Iowa from August 4th through 6th, 2006. Her seminar will be in the Community Room at the Mall from 4:30 to 6 p.m. on Saturday, August 5th, or you can find her at booth # 311. In the meantime, to learn more about Helena Lehman and her books, visit the Pillar of Enoch Ministry web site.